In its comprehensive 1904 report for Baltimore, the Olmsted Brothers firm recommended securing land along Gwynns Falls for a stream-valley park, citing the scenic value of the sylvan stream corridor, relatively cheap land, and the advantages of retaining the watershed’s inherent water-management system. 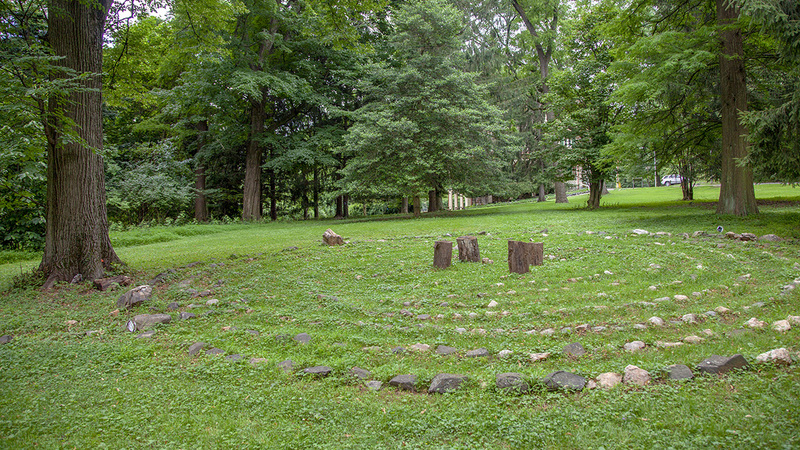 The city followed the Olmsted firm’s recommendation in the first half of the twentieth century, incrementally acquiring forested land along the stream valley to create an expansive naturalistic park. 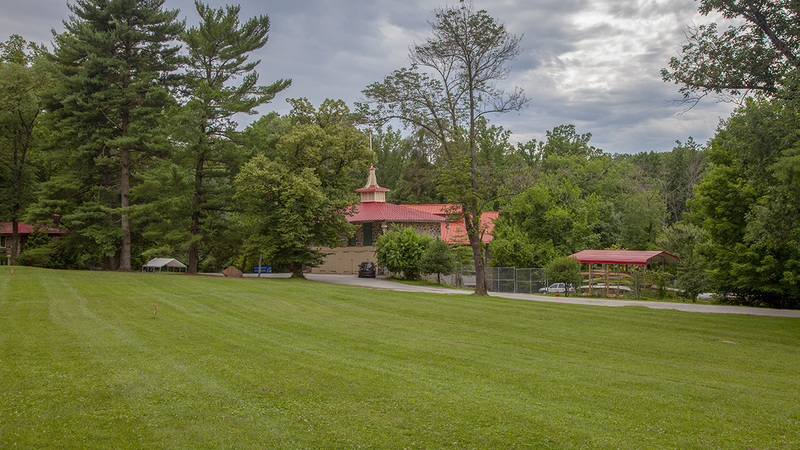 This acquisition of land along Gwynns Falls coincided with the establishment of Leakin Park, a process initiated by the posthumous donation and instructions for the city to purchase parkland by Baltimore lawyer and philanthropist J. Wilson Leakin in 1922. 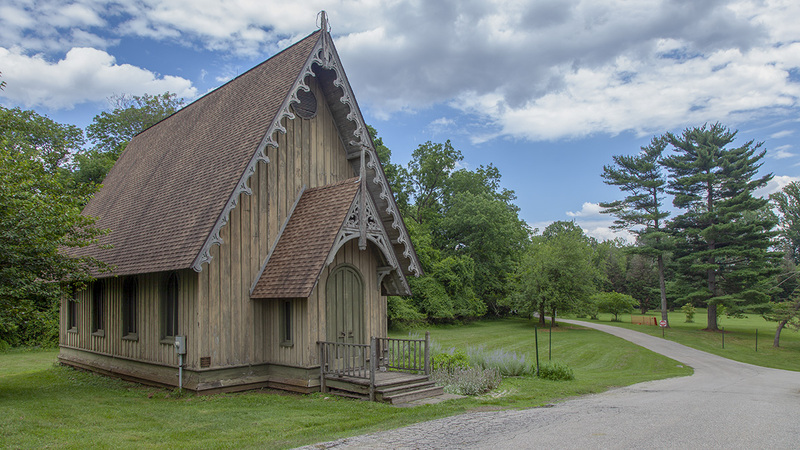 Baltimore eventually used Leakin’s donation to obtain 240 acres of Thomas Dekay Winans’ estate near the Gwynns Falls valley, which included an Italianate mansion, Gothic-style chapel, and other outbuildings. 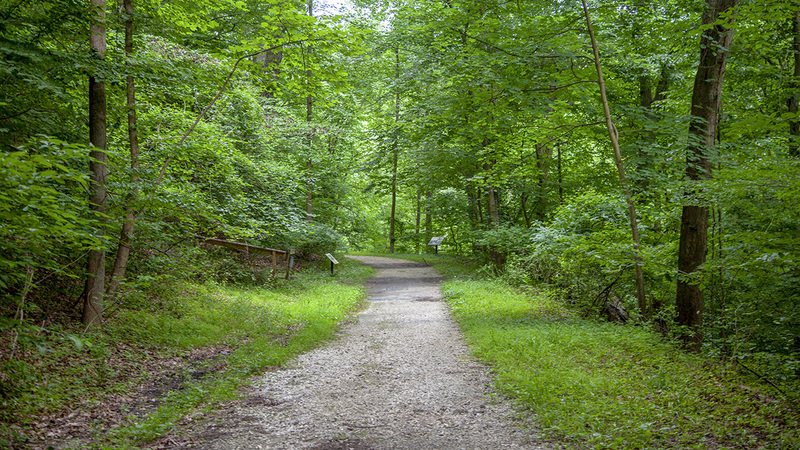 Today, the parks are collectively known as Gwynns Falls/Leakin Park and encompass more than 1,000 acres. 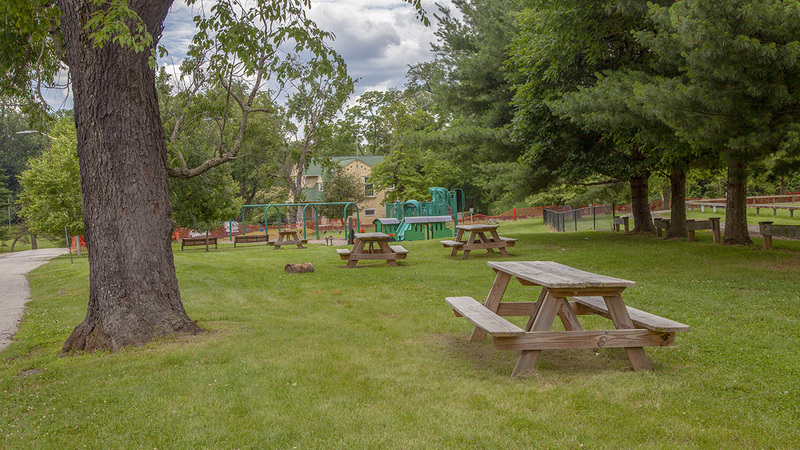 The expansive park consists primarily of hilly, closed-canopy forest along Gwynns Falls and its tributaries beginning at the waterway’s intersection with Edmondson Avenue and extending north and west to Baltimore’s city limits. 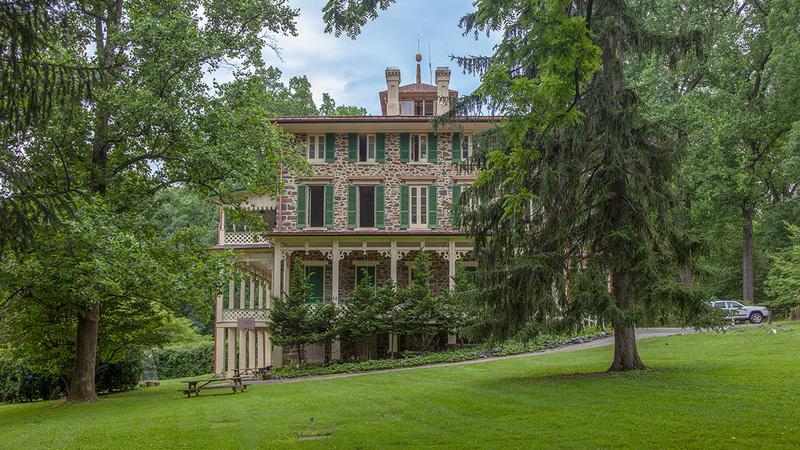 The sylvan character lauded by Frederick Law Olmsted, Jr., remains the defining feature of the landscape. 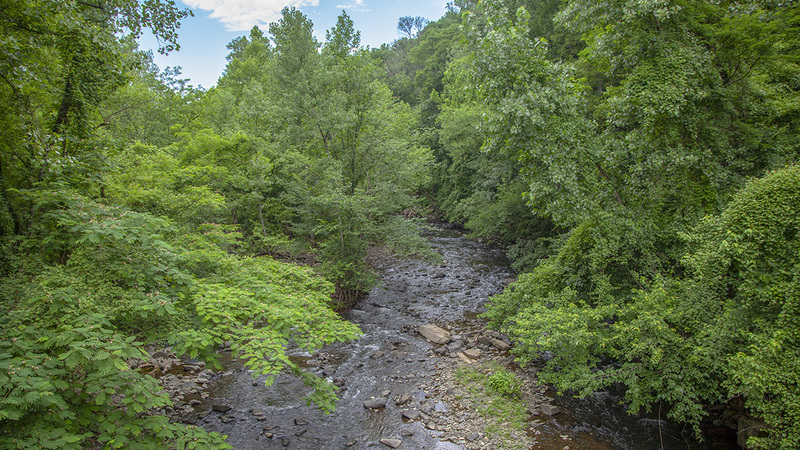 The Gwynns Falls Trail and several secondary hiking trails afford immersive access to these naturalistic scenes. 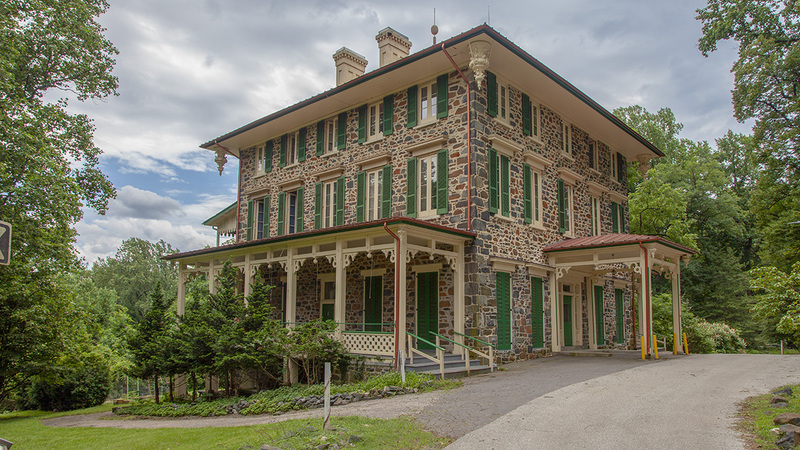 Many of the buildings and the clearings that make up the designed landscape of the former Crimea estate are also extant; these historic grounds also include a model train course installed in the 1970s. The park’s southernmost portion includes Leon Day Park, a bottomland clearing with sports fields and playgrounds.